Here is an offer where you can score a great deal at Long John Silver’s. 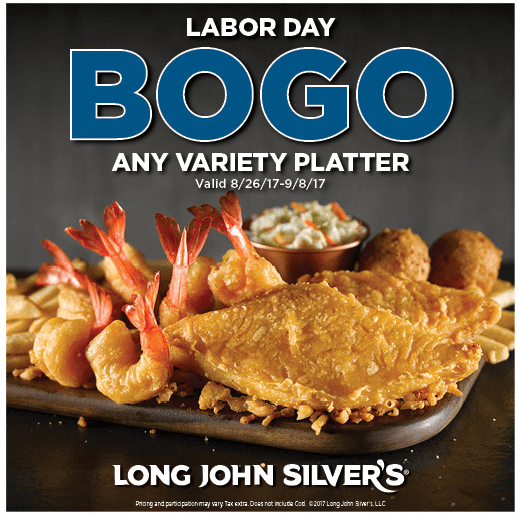 Now, though, September 8, 2017, you get get BOGO free offers on all variety platters. The post BOGO Platter’s at Long John Silver’s appeared first on Julie’s Freebies.